Geoff Woods' first book, Looking Up, Looking Down, explores his adventures in the British hills over the past forty years. Starting as a child on Bodmin Moor in Cornwall, Geoff casts a wry eye back on his escapades in some of the more remote parts of Britain. Usually on foot but occasionally on a bike, these, without fail, involve fantastic scenery, remarkable weather, and a trip to the pub with his mates.The central theme of the book is Geoff's long-term ambition to climb the Munros, Scotland's 3000-foot mountains. He reflects on some of his more memorable trips, usually at Easter and on the friendships forged over a camping stove and a pint. 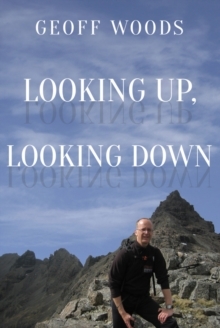 Although Looking Up, Looking Down is not intended to be a guidebook to the British hills, it is a great way for readers to explore iconic upland areas and hidden gems of our beautiful island. It will appeal to readers who enjoy memoirs and laughing at someone else's expense, as well as those who have an interest in outward-bound-type activities.